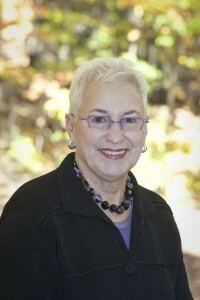 As president emeritus and co-founder of the Michigan School of Psychology (MSP), formerly the Michigan School of Professional Psychology (MiSPP), formerly the Center for Humanistic Studies (CHS) Graduate School, Dr. Blau has long been involved in furthering the school’s mission as a unique and outstanding graduate school. Prior to becoming its president in 2012, Dr. Blau held multiple academic and administrative roles at the school, including masters and doctoral faculty, master’s program chair, accreditation coordinator, and dean of academic affairs. Dr. Blau worked collaboratively with faculty and administration to develop the masters and doctoral programs; she is a proponent of creative and experiential teaching and the promotion of excellence in scholarship. During her six years as President, she led the School in attaining American Psychological Association (APA) accreditation for the doctoral program, added applied behavior analysis as a concentration in the MA program and as a stand-alone graduate certificate, and secured additional property to expand the school and achieve a long held goal – to develop a training clinic for students and in service to the community. Her dedication to humanistic psychology, ongoing commitment to qualitative research, the integration of technology in learning, and legislative advocacy has consistently promoted increased institutional growth and visibility. During the majority of her tenure at MSP Dr. Blau maintained an active clinical practice. She also co-authored the book, The Imperfect Therapist. Dr. Blau is recognized as a leader in the wider world of humanistic psychology. She frequently presents on her areas of expertise at national and international professional conferences. She is a Fellow of the APA and along with MSP in 2018, received the Charlotte and Karl Buhler Award from the Society for Humanistic Psychology of APA for outstanding and lasting contributions to humanistic psychology.